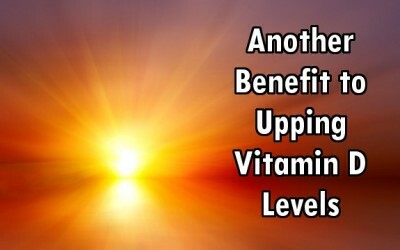 Slowly, mainstream medicine is catching on to the multipurpose importance of a hormonal nutrient called vitamin D. While maintaining higher levels of the vitamin in your body has repeatedly been tied to improved mood and reduced risk of depression, there are indeed other benefits associated with the sunshine vitamin. Three studies, two in the USA and one in Finland, have shown that individuals who are vitamin D3 deficient are at an increased risk of stroke. 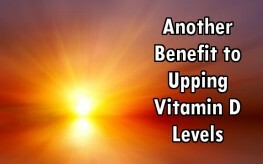 A Johns Hopkins Medical Institution study may have been the largest such of epidemiological studies on vitamin D, tracking nearly 8,000 subjects over 14 years to confirm the results of other similar but smaller scale testing in Finland and elsewhere. Information on that study can be found here. At least the co-lead author of that Johns Hopkins study, cardiologist Erin Michos, M.D., discarded the conventional conservative dogma on vitamin D supplementing. She feels most would be better taking 2,000 iu (international units) or more daily and ignoring the government’s “Recommended Dietary Allowance” (RDA) of 600 iu. She also recommend testing your vitamin D3 as a point of reference. There is not much agreement in mainstream medicine regarding what those vitamin D3 blood levels should be. And most studies, especially those concerning EU nations, have the bar set too low for what should be the threshold for vitamin D deficiency. So the vitamin D deficient population may be even higher. Most alternative health practitioners and the few nutritionally aware MDs recommend having your blood serum tested for 25-hydroxy vitamin D or 25(OH)D. This is the type of vitamin D that circulates in your blood to be converted into the active forms of vitamin D3 by various receptor cells in your body. Active vitamin D3 is more a multipurpose hormone than a vitamin. It influences around 3000 genes to helps you to avoid dozens of diseases. It acts as an immune modulator, increasing immunity as needed. Conversely, D3 can decrease immunity to inhibit cytokine storms that turn on the host body creating excessive inflammation. Even though the 25(OH)D test is offered by mainstream medicos, they tend to have a different perspective on what’s adequate. They often consider 25 ng/ml (nanograms/milliliter) of blood serum very good or even slightly elevated. There is agreement that under 15 ng/ml is too low. It is way too low. Currently, most knowledgeable medical professionals consider 50 ng/ml to 65 ng/ml an acceptable normal zone. Higher than that is required to help fight an existing disease. At around 100 there is a chance of toxicity, but that doesn’t happen from sunning. You body has an automatic cutoff from metabolizing vitamin D3 from the sun’s UVB rays when the serum D3 levels is adequate. Supplementing, it’s likely that taking 40,000 IU daily for two to three months would put one in a toxic level zone, as the automatic cutoff of D3 production from the sun is bypassed when supplementing. Taking 1000 IU per 25 (some say 35) pounds of body weight is a recommended dosage. More on that here. Having your blood levels tested should be part of making sure you aren’t too high or low on the vitamin D spectrum (the vast majority will be too low). Regardless of sun access or daily supplementation, many blood levels are still under 50 ngs/ml, so getting that 25(OH)D reading is important to determine how much more or less to supplement vitamin D. Here’s an easy guide for you.